Marl Pits Garden Centre is proud to offer a comprehensive range of hardy plants including various rare varieties through to the commonly recognised favourites. We would like to welcome you to visit us , perched high above the Rossendale Valley overlooking the quant mill town of Rawtenstall. We think if it grows well up here at our altitude the chance are it will thrive in your garden. 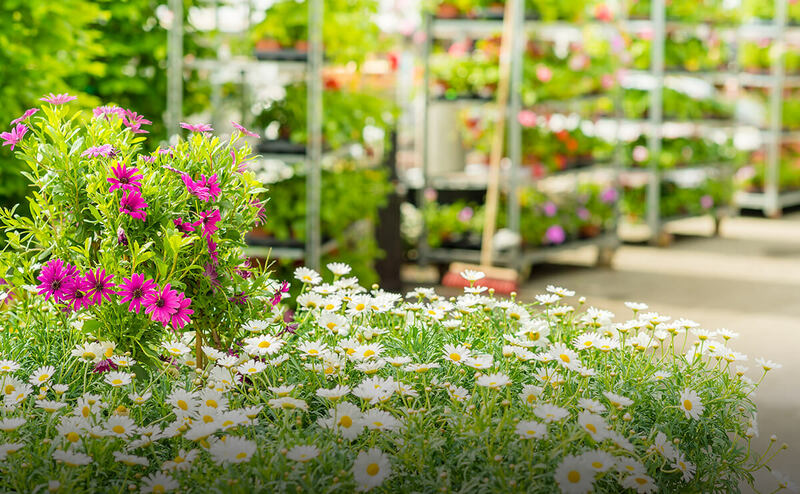 Unlike the majority of modern Garden centres we are proud to have on hand real experts to help answer any of your gardening questions. We want you to get the best from our products. Come and feel free to browse through our well stocked centre and draw some inspiration to create your ideal garden at home. Due to our low prices and great quality products we attract lots of trade customers from landscape contractors to market traders all looking for the right plants at the right prices. We also sell a wide variety of composts , chemical feeds, weedkillers etc.. canes, tree stakes, pots, containers and seeds. Much more than mentioned not forgetting Christmas trees from our christmas tree farm (home grown) throughout December and home made wreaths and holy balls. In essence this garden centre is a traditional plant nursery with all the modern essentials that you may also require. Situated next to the Rossendale Golf Driving Range at Marl Pits, sat above the local swimming baths and leisure centre/Rugby club. There is something here for all the family even if its just to soak up the breath taking views across the Rossendale Valley whilst immersed and surrounded by the scent and colour of our amazing Garden Centre plants.